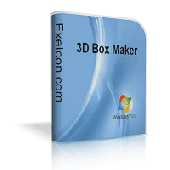 ExeIcon.com 3D Box Maker is a virtual packaging design tool. It creates box-shot, vista boxes, ebook covers, CD covers, electronic magazines covers with transparent background. You can create high quality web and printable graphics with just a few clicks! 3D Box Maker Professional is a system to help you create virtual packaging (3d Box Shots) for your website. This is an info box maker software easy to use and install. ExeIcon.com 3D Box Maker is a virtual packaging design tool. It creates software box-shot, vista boxes, ebook covers, CD covers, books, electronic magazines covers and more. 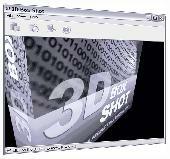 3D Box Shot is a virtual packaging design tool. It transforms your artwork into a 3D box in real time using the full power of your PCâ€™s graphics hardware, allowing you to rapidly prototype your box designs. 3D Software Box plugin creates realistic images of 3D boxes for your software. It is very easy to use and you can crete a realistic software box in under 30 seconds. You can create unlimited software boxes in different angles. Power Xpress DVD Video Maker is a quick and remarkably easy tool for mastering DVD disks from your own home-made videos right out of the box and convert various PC video formats to a DVD that can be played on pretty much any standalone DVD player. jQuery Slideshow Gallery Maker is an excellent slideshow creator! It is easy to create great jquery slideshow banner with pictures and songs fast. No particular skill and complicated settings needed! Jquery slideshow ul is the best choice for you! iPhone Ringtone Maker for Mac is the ultimate tool for creating perfect iPhone M4R ringtones from popular video and audio files and uploading ringtones to your iPhone directly after conversion. Convert various audio and video formats to M4R ringtone formats and offer Recorder, Groove Box, Ringtone Manager, Transfer to iPhone Straightly etc. to make and manage characteristics and distinctive ringtones for iPhone users. Quick Screenshot Maker is an excellent tool for screen capturing, screen shot editing. It can capture screenshot and directly send it to the current canvas, also, it can Edit several captures in one screenshot project. Max Movie Maker is a powerful tool to help you in creating your own home movies of vcd/svcd/dvd from a lots of media type , such as avi/mpg/mpeg/wmv/asf/divx etc. .
Max Movie Maker is a powerful tool to help you in creating your own home movies of vcd/svcd/dvd from a lots of media type , such as avi/mpg/mpeg/wmv/asf/divx etc.